The California Highway Patrol issued a Sig-alert for the eastbound interstate Highway 380 connector to southbound U.S. Highway 101 near San Bruno, after an overturned big-rig caught fire early Monday. At around 1:15 a.m., CHP officials and firefighters responded to a crash involving a big-rig on southbound U.S. Highway 101 at San Bruno Avenue, according to CHP officials. CHP officials reported the big-rig was on its side and fully engulfed in flames. At 1:28 a.m., CHP officials issued the Sig-alert, closing the highway connector. 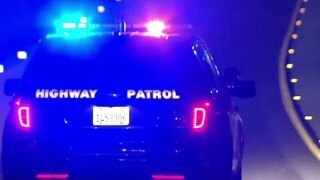 CHP officials initally estimated the connector would reopen around 3:30 a.m. but later updated that to 5:30 a.m. The road was finally opened around 7:30 a.m.